A gourmet & specialty foods shop featuring artisan sandwiches, cut-to-order cheese and hard to find culinary items. Specializing in house made goods including jams, jellies and pickles all sourced in-season from produce at the local farmer's market. Sandwiches, salads and other items are available for take away or eat-in (indoor and outdoor seating) from 11am - 3pm, daily. There is plenty of parking in front of the shop. The shop creates cheese and charcuterie boards and sandwich platters for groups and customizes the cutest little boxed lunches. Picnic and gift baskets are also available. The shop is available in the evening for private dining. It is beautiful and cozy and perfect for a family-style event for around 20 guests. 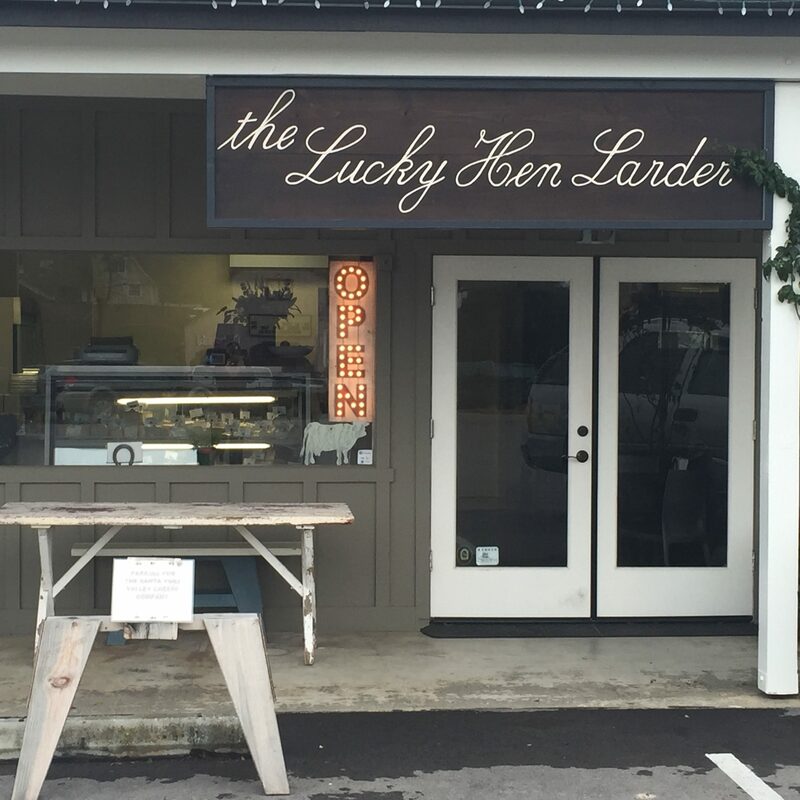 The Lucky Hen Larder team is adept at catering and will create a special menu for your soiree.